Who Is Kate Bedingfield, The Joe Biden Hire That Suggests He's Made Up His Mind About Running For President? As rumors about Joe Biden's potential 2016 presidential run swirl, his newest employee only adds to the speculation. 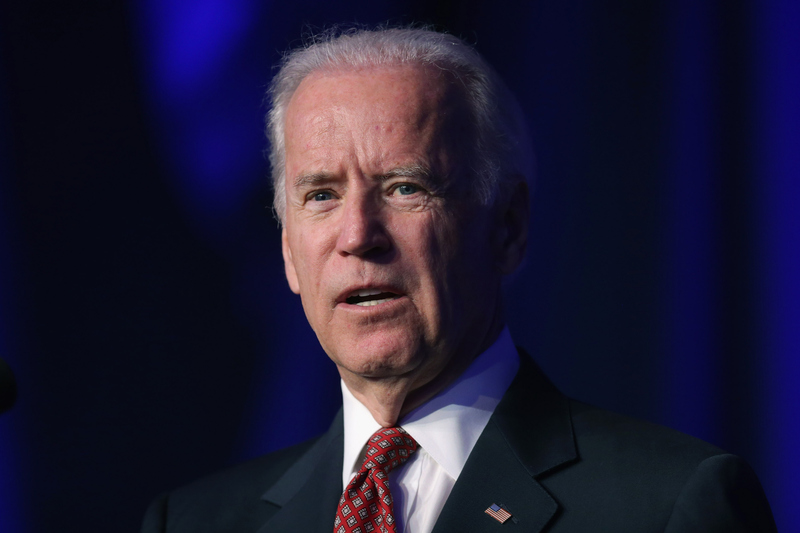 So, who is Kate Bedingfield, Vice President Biden's recently hired communications director? Bedingfield is transitioning to the White House from the film industry, but she has a history in politics and worked as a spokeswoman for John Edwards' 2008 campaign. Bedingfield, who started her new job Monday, could be gearing up for another presidential campaign this election cycle (that is, if Biden ever makes up his mind). Bedingfield is replacing Shailagh Murray as Biden's communication director, since Murray became a senior adviser to President Obama in March. In a statement announcing his new hire, Vice President Biden said: "Kate is a talented individual who brings a range of communications experience to the team. She will be a key advisor to me, a terrific asset to our office, and an important member of the entire White House organization." Biden's announcement did not acknowledge Bedingfield's former position on Edwards' campaign, but it did mention her role as communications director for Jeanne Shaheen's successful 2008 Senate campaign, adding to her election expertise. Bedingfield, originally from Atlanta, is no stranger to the White House either — she's previously served as the deputy director of media affairs, the director of response, and an associate communications director, managing communications involving the administration's agenda. Despite her experience in Washington, Bedingfield will have to transition to life on The Hill from her past four years in Hollywood. Before working in the Vice President's office, Bedingfield was the vice president of corporate communications for the Motion Picture Association of America (MPAA). Chris Dodd, MPAA chairman, told Variety: "In her tenure at the MPAA and as our chief spokesperson, Kate's proven to be a trusted adviser and a strategic thinker that I turned to for guidance on communicating the number of complex issues our studios face every day in the U.S. and around the world. I want to thank Kate for her hard work, and am confident she will serve Vice President Biden with the same energy and commitment to excellence that she demonstrated at the MPAA. I wish her all the best." Vice President Biden's choice to hire a communications director with presidential campaign experience seems like another clue that he may run for president a third time. There have been other signs recently too — according to CNN, Biden met privately with Senator Elizabeth Warren at his house on Saturday to discuss economic policy and a small team of advisers put together a campaign strategy in case he decides to run. Warren, a beloved Democrat who's not running herself, has yet to endorse any of the liberal candidates, and now people are speculating that she could run as Biden's vice president. Let's hope Biden ends the suspense soon, for all our sakes.